With the Oru Kayak Beach LT Kayak, your horizons are not only expanded, but tenfold more accessible--regardless of how tiny your apartment is or how limited public transportation is. 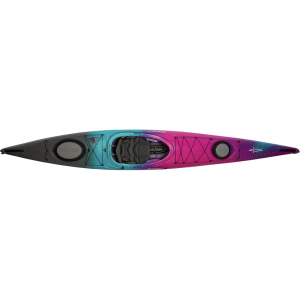 Offering a more agreeable approach to exploration, the Beach LT Kayak features a slightly updated design to ensure a more amenable and comfortable paddling experience. To start, the Beach LT Kayak now features a more roomy cockpit to accommodate paddlers of all shapes and sizes (though, the max paddler height is 6ft 6in). The 28-incn width maintains stability and easy paddling for beginners or experienced kayakers alike, while the easy-to-assemble design allows you to get on the water in less than ten minutes. Additionally, the durable and rigid double-wall polypropylene material is built to withstand 20,000 folds and even features a 10 year UV treatment to bolster the overall longevity of the Beach LT. Not to mention, the adjustable footrest and backrest provides a personalized fit, so you're able to make the most of your stroke.